A 33-year-old man who was found stabbed to death in a block of flats has been named. 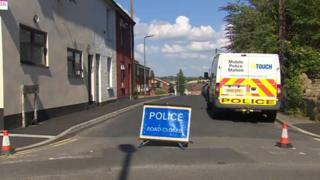 Joseph Jennings was found with stab wounds in the stairwell of a building in Great Western Terrace, Yeovil, at about 23:15 BST on Saturday. A post-mortem examination found the cause of his death was "stab injuries", police said. His next of kin have been informed. Three men arrested on suspicion of murder remain in police custody. A formal identification is yet to take place but detectives are satisfied the victim is Mr Jennings.